Maitri is thrilled to announce a new partnership with Operation 1620, which will kick off in Pittsburgh on Saturday, April 20. Operation 1620 brings awareness, education and support for veterans medicating with cannabis as an alternative to pharmaceuticals. Founded in Chicago in 2016 and now operating in seven states across the US, these veterans come together to create life-long relationships with like-minded peers, an experience they often lose upon leaving the service. Operation 1620’s Breakfast Buds program brings veterans together to enjoy a hot breakfast, receive education from dispensary staff on medical marijuana products and dosing, and visit a dispensary. The April 20 Breakfast Buds event will be the program’s debut event in Pennsylvania. Maitri’s pharmacy team will lead an educational question and answer session in a safe, private space, empowering veterans to gain the knowledge they need as they embark on their medical marijuana journey towards health and wellness. “Getting to know our patients in Uniontown and Pittsburgh has reaffirmed for us how cannabis brings together people from across all life experiences. 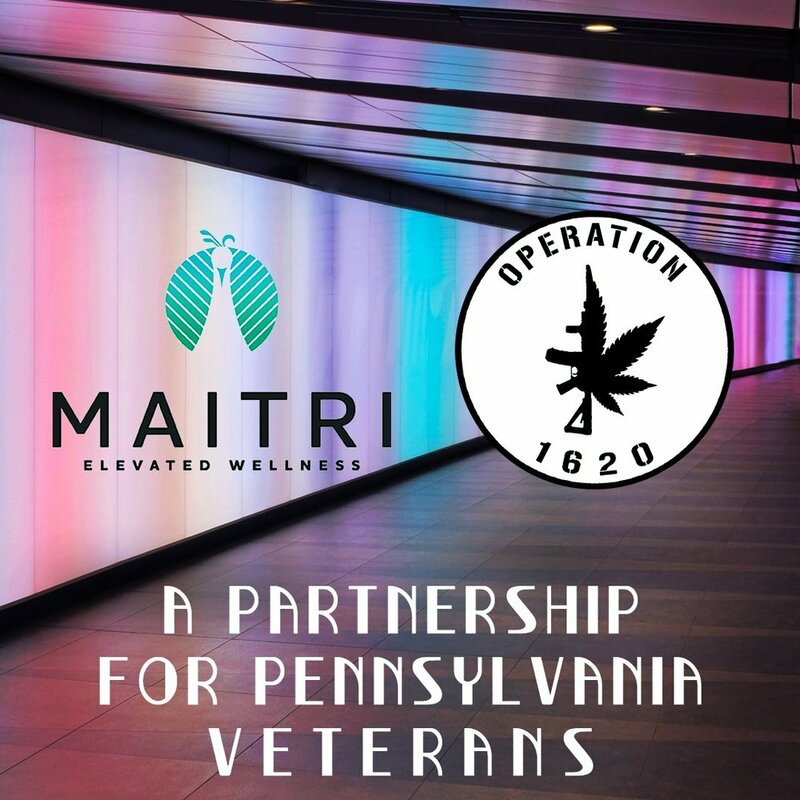 We’ve seen medical marijuana provide hope for so many of our veterans, and are honored to partner with Operation 1620 and give back to this key part of the Maitri community,” said Corinne Ogrodnik, Maitri CEO and Cofounder. The April 20th kick-off breakfast will take place at 9 a.m. at Ascender, located less than a mile from Maitri’s East Liberty Dispensary at 6401 Penn Avenue, Suite 300, Pittsburgh, PA 15206, and will be catered by Black Radish Kitchen. The building is handicap accessible and has plenty of parking available in the lot. RSVPs are strongly encouraged - click here to register.